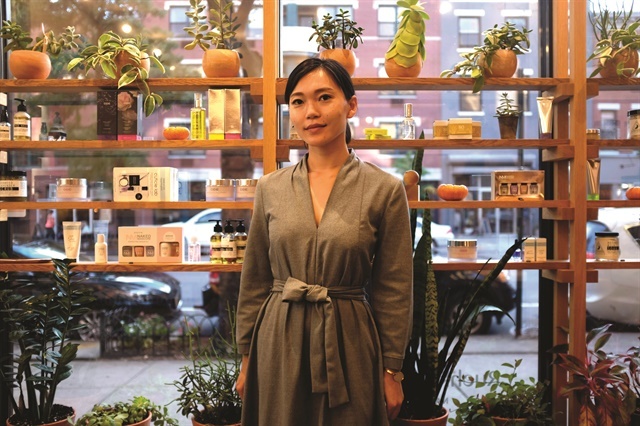 After realizing very few New York nail salons met her standards for quality and care, Russian nail tech Katya Kan decided to open up her own healthy, odor-free salon in the heart of Brooklyn. The salon interior hosts an abundance of plants and fresh flowers along the sides of each station, and a rack of thought-provoking books. When Ruchki da Nozhki owner Katya Kan moved from Sakhalin, Russia, to New York in 2011, she quickly realized how different the U.S. nail industry was in comparison to her homeland. In Russia, Kan says, a manicure is considered a luxury, while in New York a manicure is considered an affordable weekly treatment. The vents at each salon station are perfectly concealed for the sake of design, comfort, and functionality. 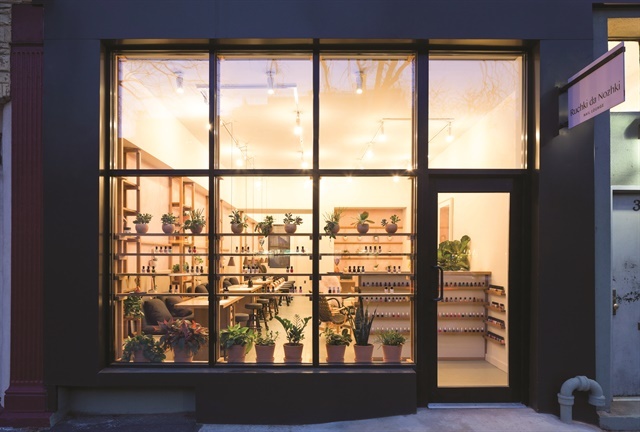 This led her to open Ruchki da Nozhki — a nail lounge dedicated to elevating every detail of the salon experience, from air quality and sanitary conditions to fair treatment of employees and the use of natural products. 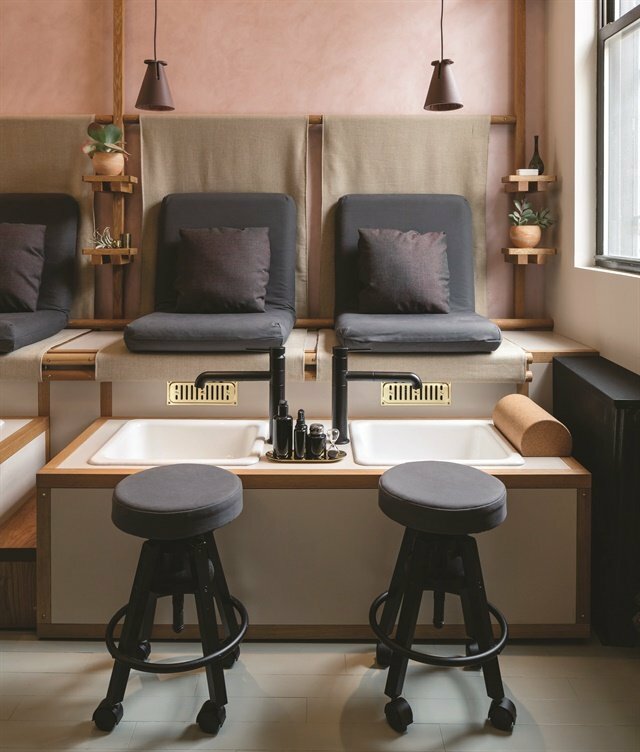 Since opening in March 2017, Ruchki da Nozhki has become one of the first nail salons to meet New York’s recently enacted ventilation standards. Feeling as though no English words could capture the essence of the salon, Kan struggled to think of a name. So she decided to stay true to her roots and name the salon Ruchki da Nozhki, which means “little hands, little feet” in Russian. Katya Kan received a degree in fashion merchandising before opting to work as a nail tech. With a simple but comprehensive menu, guests can choose from three main services: the “Relax” service, a classic manicure or pedicure with a relaxing three-minute massage; the “Pamper” service, which includes additional exfoliation and essential oils; and the “Indulge,” a spa option featuring a soak, mask, exfoliation, and a longer massage. All products used during services are natural or certified organic, and the salon carries a vast selection of Zoya and Deborah Lippmann polishes. As for the salon stations, each is equipped with a built-in exhaust system that eliminates vapors at the source of exposure. The salon also avoids using acrylics or hard gels to contribute to the quality of air. The sleek exterior blends in with the neighborhood’s modern high-rises and beautiful brownstones. as unique as its surrounding neighborhood — a welcoming, vibrant environment filled with people from different backgrounds and cultures. 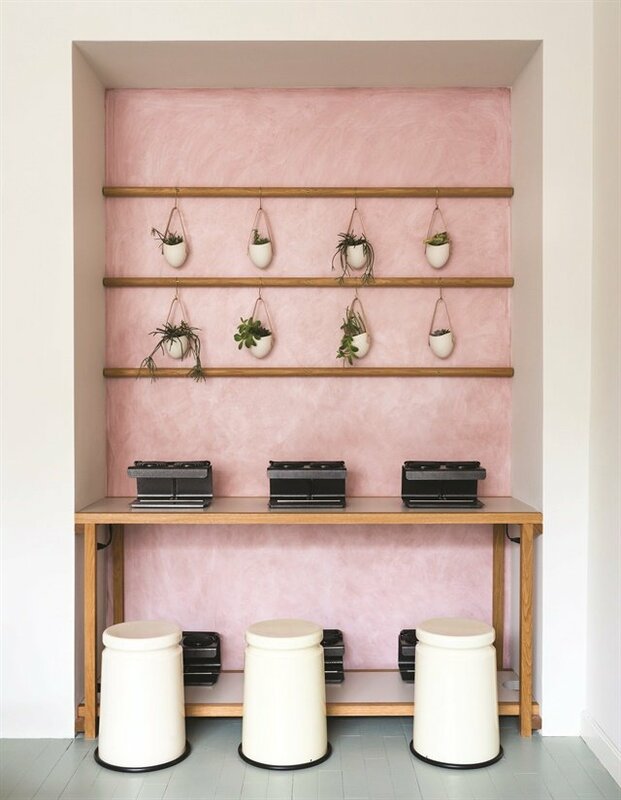 The “millennial” pink walls add softness to the custom-made wooden shelves throughout the space.